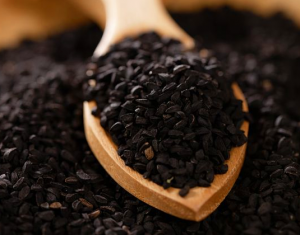 Nigella sativa, also known as black seed or black cumin, is an annual flowering plant whose seeds have been used for thousands of years for their powerful healing abilities. It has been shown in countless medical studies to successfully destroy cancer cells, without harming healthy cells in the process. The range of health benefits and ailments that this natural medicine can provide is profound. Many studies have been conducted on the anti-tumour effects of Nigella Sativa. In 1997, at the Cancer Research Laboratory in South Carolina, USA, researchers found that Nigella Sativa oil increased the growth rate of bone marrow cells by a staggering 250% and inhibited tumor growth by 50%. Cancer is just the beginning when it comes to Black Seed’s healing effects. There are literally hundreds of studies showing the mindblowing healing benefits of Black Seed on everything from Type 2 Diabetes, Heliobacter Pylori Infection, Epilepsy, High Blood Pressure, Asthma, Chemical Weapons Injury, Opiate Addiction, and more. Here is the complete list of over 500 studies on Black Seed. The honey is used as a carrier to help move the black seed oil into the cell where it can infer its medicinal effects. The darker the honey the better. Manuka honey, considered the queen of honey, might be the finest choice, as it is reported to have the highest anti-microbial activity of all honeys.